Patrick, 45, has been supported by Black Hills Works for almost 25 years, says his mother Angie Zacher. 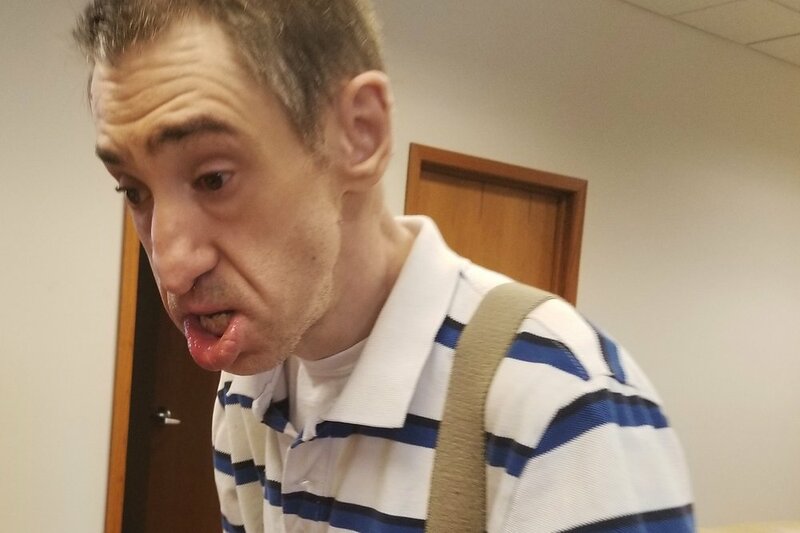 The couple connected with the disability services organization in western South Dakota when Patrick, who is non-verbal, turned 21 and could no longer enroll in the special education program through the local school system. The organization continues to work toward one of the state of South Dakota’s greatest challenges—providing affordable housing for people with disabilities. The Zachers were on a waiting list for two and a half years to have Patrick live in one of Black Hills Works’ housing units. He made it to the top of the list in March and moved into a group home. It was just a month later that Angie, his mother, was diagnosed with cancer. “It was divine intervention,” Joe says, as they would not have been able to take care of Patrick during her chemotherapy diagnosis and treatments. Direct support professionals play a critical role in the lives of people with disabilities. When Patrick moved into the group home, his parents worried that he might forget them or resent the move, Joe admits. That’s because people with disabilities thrive when they receive the wrap-around support services that allow them to live life as independently as possible. Joe says his son is an example of the quality of care all people deserve—quality that all humans should receive. If the organization needs anything, he adds, it is the financial commitment from the state and federal government required to adequately support an incredibly diverse population of people with disabilities. Nicole says forming relationships with clients and their families is at the heart of what direct support professionals do every single day, 24 hours a day and seven days a week. For Angie and Joe, it’s that kind of love that gives them peace of mind. When they pass away some day, Angie says, they know Patrick will be taken care of by people who care about him. Angie says it is a reminder of how critical support is to the organizations and agencies who are supporting people with disabilities. “We’re so happy with this whole organization and we need legislation that supports these organizations—especially financially—because without them, I don’t know what future parents would do,” she says.